If you’re a comic, sci-fi or fantasy fan, then this is the time of year to indulge your geek side as San Diego Comic-Con 2017 unveils a host of teaser trailers and interviews with the stars of your favourite TV and films. As there’s so many released at once, we decided to collate some of the best. 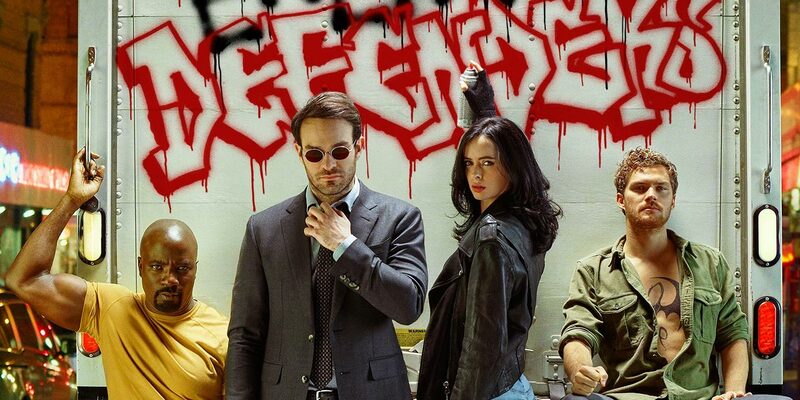 Netflix brings together the stars of its DC Comic adaptations, Daredevil, Jessica Jones, Luke Cage and Iron Fist join forces when a villainous sect threatens to destroy New York City as we know it. Arrow premieres October 12 in the US. Sky 1 is yet to confirm an airdate. The Flash Season 4 premieres October 10 in the US. Sky 1 has yet to confirm the UK airdate. After the loss of boyfriend Mon-El, Season 3 explores who is Supergirl without Kara Danvers? Supergirl premieres on The CW October 9. Sky 1 has yet to confirm the UK airdate. DC’s Legends of Tomorrow will premieres October 10 on The CW! Premiering exclusively in IMAX September 1 and continuing on ABC in the US from September 29. A UK channel has yet to announce pick-up.